Kynnedy Flannel remembers just wanting to get over with it. 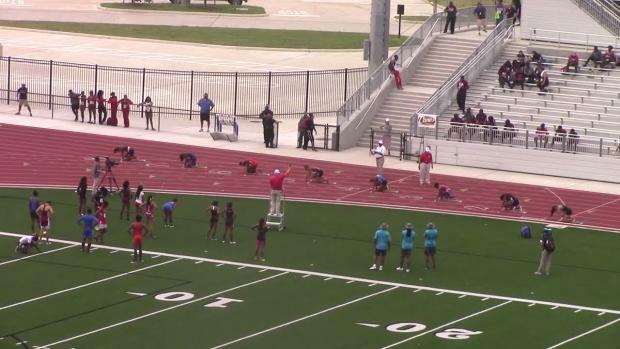 At the time of the AAU Junior Olympics last July in Houston, it was nearing the end of a frustrating track and field season for the 16-year-old from Alvin High in Texas, in part because she had missed most of it due to a fractured knee at the Texas Relays. 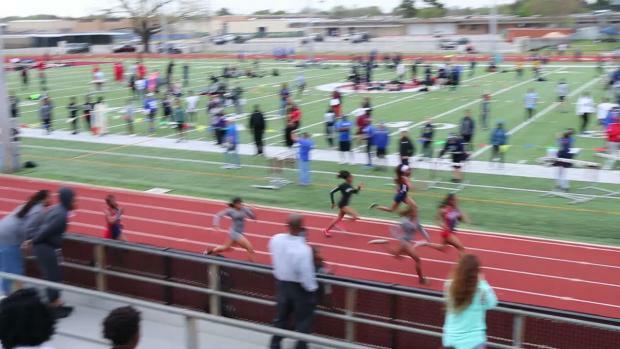 But here she was lining up in the finals of the 200m dash. Might as well give it a shot, right? "As soon as I rounded the corner, I thought to myself, 'I can probably win this,'" said Flannel, who turns 17 on July 12. 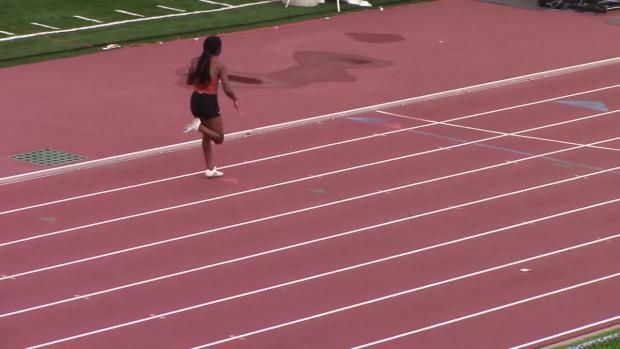 She did just that, winning in a career best 23.59 seconds in the 15-16 age division against Jania Martin, who followed .07 seconds later. It marked her first performance under 24 seconds. But what that race ultimately did for Flannel's confidence did much more than she realized. 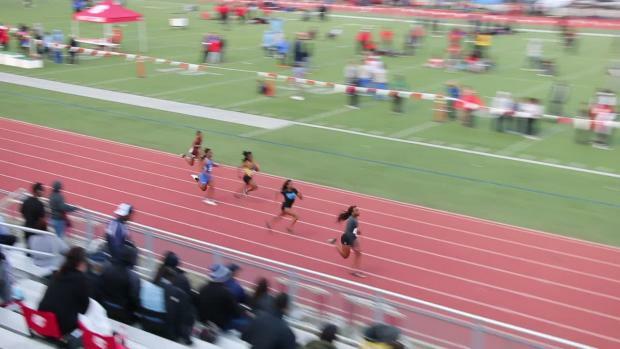 Flannel, who also finished second in the 100m in 11.77 seconds to Sha'Carri Richardson and contributed to Track Houston Youth Track Club's first place finish in the 4x100, followed the next spring with her best high school season to date. This year Flannel was arguably one of the fastest sprinters in the country, finishing with a US No. 6 performance of 11.43 seconds in the 100m and US No. 4 effort of 23.34 seconds in the 200m. She was the third best long jumper in the country after state championship season with a leap of Class 6A record of 21 feet, 2.75 inches. 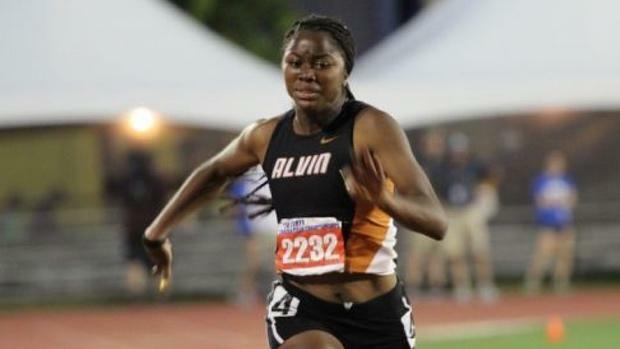 She won three University Interscholastic League Track and Field Championships for Alvin. It was about as successful a junior season as she could have asked for. And maybe it's all because of that 200m at the AAU Junior Olympics. 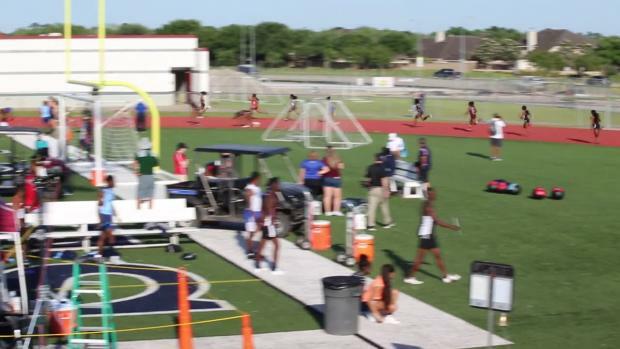 "I had a lot to prove," said Flannel, who was also hurt for some of her freshman season and didn't race at the UIL Championships. " Flannel is planning on qualifying for the AAU Junior Olympics, held this season in Ypsilanti, Michigan, yet again in the 17-18 Division. She'll have a Region 17 Qualifier in Missouri City from June 28-July 1 to focus on in the coming weeks. "I like the competition," she said. "I use it to compete and break records. But I also like running on our relay. There I don't feel as much stress and I've always done it, so I would feel weird if I didn't." There were some factors that contributed to Flannel's emergence this season. She remained healthy for the entirety of the season, yes. But precise and deliberate work with her track coach, Gary, also made a difference -- Gary is a her father. "Sometimes I have my days where I don't want to hear him," Flannel said "I want to go out there and just do my workout. He critiques me, which gets annoying. But he's my parent and I guess it's better for him than anyone to critique me. And he pushes me." From the finish of her sophomore year last year to AAUs, Flannel began to focus the small things. Knees up. Hands up. Keep her form. Find that top speed. Sustain it. "(Martin) was ahead of me until I was at the 75 meter mark," Flannel said of her AAU Junior Olympic race. "At that point I just had to trust my training. I wanted to win." The last half of Flannel's races in 2017 have been where she's found herself, and if all goes to plan, that's where she's going to keep succeeding as she moves forward. With one hugely transformative season in the books, Flannel also has the added weight of college recruiting in the immediate future. She's already getting tired of all the added intrigue into her decision. "I'm just waiting," she said. "I don't have any particular school I like just yet." But in the meantime, Flannel has some goals in mind as she moves ahead into the AAU season. "Staying healthy and getting the 4x100 record with my relay team," she said. 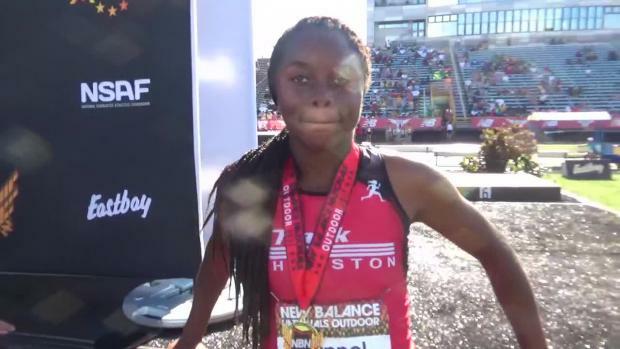 "I want to break some records at AAU and I want to PR again in the 200m, 4x100, 100m and LJ." At least this time she won't rush to get through it.